One of the best ways to stay healthy is to exercise on a regular basis. It doesn’t matter what kind of body you have, exercise provides a number of benefits. Not just that, it’s also a great way to combat stress. That said, should push-ups be a part of your daily routine? Truth be told, the answer for this question can be a yes, and a no. Although push-ups can definitely help you stay fit, the body shape must be evaluated first before you try a workout program to see if it would be beneficial for you or not, and this includes push-ups. 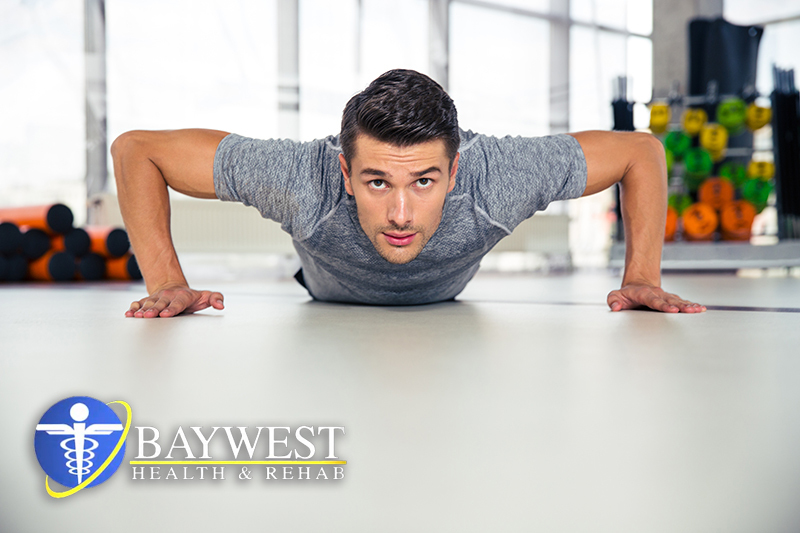 Push-ups have been there for centuries and used to strengthen and tone the muscles. The good thing about push-ups is that you don’t have to use any equipment and you can perform it wherever you are. However, it’s also important to note that if your body is not capable of handling this form of exercise, you’ll be susceptible to injuring the elbow, shoulders, neck, wrist, and lower back. So, how can you determine where you should start? Try to think about this; you cannot simply go to the gym, insert 10 plates on the barbel and start like a pro. You’ll end up tearing your muscle tissues. This holds true for push-ups. You cannot simply get your hands and toes down on the floor and start doing traditional push-ups like it’s nothing. You have to evaluate the exercise first as well as your ability. The first few things are quite easy. You just have to lean against the wall. Your feet should be 2 feet away. Then, move the further away from the wall and experiment with various distances. To know that the workout is quite effective, you should be feeling a good resistance on your arm, back, and chest muscles. If not, keep on moving a fewer distances away from the wall. Also, you can gradually make it more challenging by leaning against various things, such as the chair seat, counter top, and once you have gotten the knack of it, then you can proceed on doing it against the floor. For this, you have to place your hands and knees against the ground. After a few repetitions, you’ll notice an increase of load on your elbows, neck, shoulders, wrists, and back. After you have become used to this, you can now proceed to the original and difficult kind of push-up– the toes push-up. If you’re still not satisfied, don’t worry; you can make it more challenging. Move your hands inward and your elbows tucked into the sides. In case you’re starting to feel some pain somewhere in your body, then it’s ideal to reduce the load. Also, you don’t have to force yourself and touch the floor. The key is, you should feel some resistance against your muscles. Another important thing that you should know about push-ups is that it also fortifies the core and it’s a front plank. Thus, it’s good for stabilizing the muscles. So, whether you’re trying to lose weight, or just planning to stay healthy, push-ups are a good way to do just that.